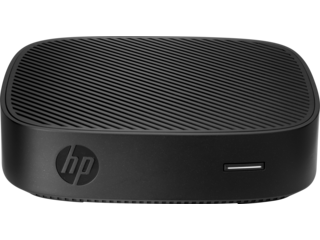 HP Thin Clients aren’t your traditional desktops. They’re crafted to be more portable, durable, and deployable while providing a way to do more tasks with less hardware getting in the way. These computers span a number of form factors and performance levels so that you can find the ideal look and feel for your work style. Whether you’re outfitting an office, a home, or a classroom, these lightweight desktops can transform any space into a productive one. When it’s time to outfit your office with new desktops, the last thing you want to do is haul heavy, bulky computers that no longer perform. 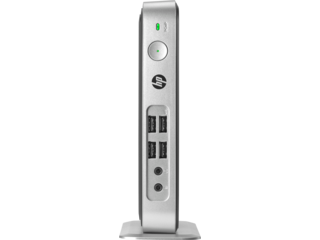 Choose an easier way with an HP Thin Client desktop. These thin, light, and compact PCs offer the ultimate in portability with a small footprint that doesn’t limit your capabilities. Combined with the full management capability of HP Device Manager and the option to fit your preferred peripherals, HP Thin Clients will take your office to the next level. Want to consolidate your workflow? Try the HP t310 All-In-One Zero Client for a one-stop solution to your productivity needs. It combines a desktop with a display to provide a single, efficient device. Are you looking for a way to outfit your classroom with an inexpensive and reliable option that gives students the tools they need? Help them take on any task effortlessly with an HP Thin Client desktop. Our range of devices includes affordable and easily deployable options for any classroom. In addition, we have a number of configurations that support legacy connections, making it even easier to integrate your new PC into your existing equipment setup. 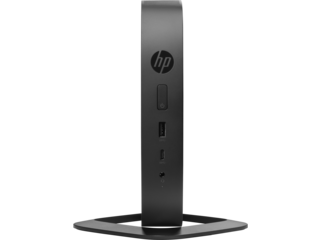 One of the best features about HP Thin Clients like the HP t530 is that their compact form factor is ideal for deployment in spaces of any size. HP Device Manager simplifies this process, so you can set up as many desktops as you want without wasting time. Use HP Device Manager to go from unboxing an HP thin desktop PC to running the programs you need in no time. 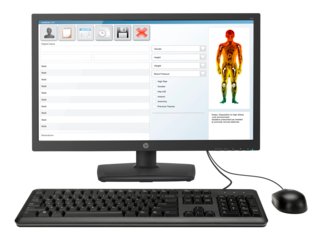 Our unique software lets you manage every aspect of your desktop assets from one easily accessible control panel. That means fewer steps involved in keeping your systems up-to-date and secure with straightforward tools. Management is an ideal solution to deploying a firmware patch, installing preferred software, and providing remote support to multiple devices from just about anywhere at the push of a button. If you’re a productivity hound, then you know that multiple displays are almost always preferable to a single monitor when it’s time to get things done. HP Thin Client desktops like the HP t430 make it a breeze to connect up to two external displays so that you can see more at once with a small, lightweight form factor that’s easy to tuck out of sight. Enjoy the ability to see more at a glance without the requirement of bulky hardware. Plus, with the advanced internals in HP Thin Clients, you’ll be more than capable of driving software to both monitors. HP Thin Clients are built to be a powerful, lightweight, and inexpensive option that you can easily deploy in just about any environment without having to worry about slowing down. They’re meant to help you continue using the software you’re used to without the large footprint of traditional desktops. They’re also designed to consume less power while offering enhanced performance, so you’re left with a dependable solution year after year. 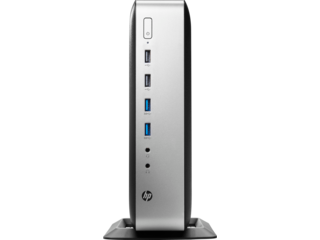 Just because HP Thin Client desktops are easy to store out of the way doesn’t mean they lack style. They come in a number of shapes and sizes so that you can find the ideal model to suit your productivity needs and keep your setup looking great. Options like the HP t630 Thin Client offer a computing solution with a striking appearance that you can deploy anywhere - from the office to the classroom to the living room - all while achieving capable performance.